Nicolas’ passion for quality ingredients comes from his farm upbringing in Auvergne. He completed his studies specialising in desserts at the triple Michelin starred Bernard Loiseau’s restaurant in Saulieu. His colourful career path has led him via many impressive establishments, from the opening day to its first Michelin star at MEO, as well as at the Domaine de Coquillade with Christophe Renaud. He became sous-chef at L’Eveil des Papilles in 2015. 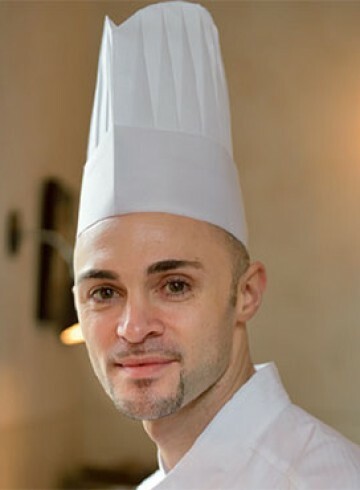 His cooking style is principally vegetable based which complements perfectly that of the head chef Fabien.